A holiday gift cookbook is like a delicious taco de picadillo that has clarity and nuance. 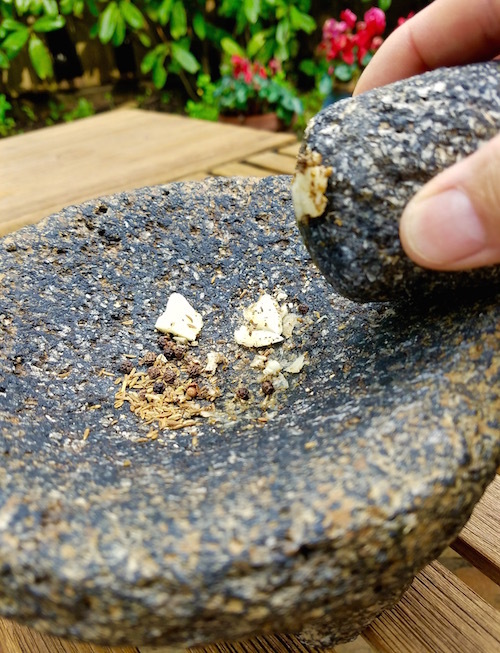 I use a molcajete for my taco de picadillo family recipe because it gives me control over texture and taste. I use the traditional Texas Mexican triad of spices, (cumin, black pepper and garlic). The flavor is at its best when the elements are blended so completely that they become a homogeneous paste, the character of each ingredient melding into a single aroma and taste. It evokes rich memories, and most Texans will actually physically smell this aroma, just by looking at a picture of the three spices. When I select a holiday gift cookbook, I judge it the same way. I want clarity, technique, nuance and I also want it to relate to something important in my life. These are five cookbooks that I recommend as holiday gifts. Like the variety of tacos de picadillo, each one is unique, and they all are clear and nuanced. 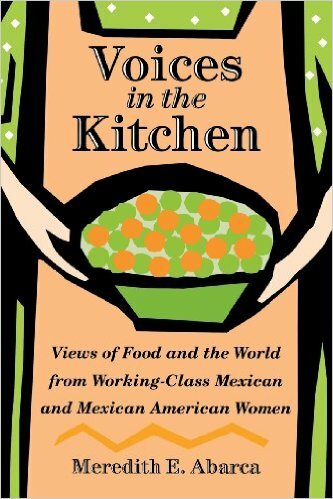 is a ground-breaking book that interviews 21 Mexican American and Mexican working class women and reports the many “charlas culinarias.” Although not a cookbook, I include it because it opens up understanding about our food, kitchens and cookbooks. It’s sociology, cultural anthropology and feminist. I consider it an essential background to really understand the cultural, political, gendered character of our food and how it is moving forward and changing. Some of the charlas (conversations) include recipes for traditional dishes like chilaquiles, carne ranchera and not so traditional but economically expedient Mexican spaghetti. In keeping with the tradition of orality the dishes are described generally, without precise measurements. It’s the thinking gourmand’s perfect holiday gift cookbook. is the first cookbook to take on, in straightforward fashion, the many labels that over the years have been applied to Texas Mexican food. Whether Tex-Mex, Mexican, fusion, Casares embraces all of them and shows the best way to cook each, explaining that they are “expressed as Rio Grande cuisine.” That’s a very helpful perspective and an insight into her dishes. I love this book because, like “Voices In The Kitchen,” it is a collaborative work. Dotty Griffith, the formidable food editor, restaurant critic of the Dallas Morning News whose career spanned over 20 years, worked with Casares for two years to complete the book. They became close friends. 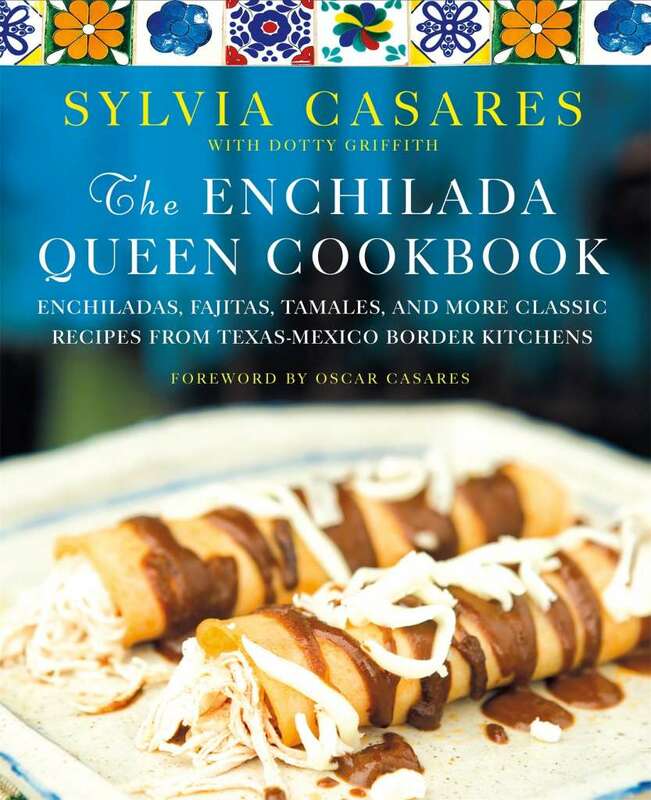 Griffith says, “I learned to write in Sylvia’s voice, and found her personal story compelling.” Griffith attended the cooking classes that Casares regularly holds in her restaurant and listened as Sylvia connected each recipe to her community, culture and history. “Sylvia is a perfectionist and she polished each sentence with the same precision she puts into her recipes,” says Griffith. The cookbook presents a compelling personal story, and with the 125 recipes and gorgeous pictures, it makes a great holiday gift cookbook. is an amazing feat of historical research that results in delicious recipes that are imaginative and healing. The recipes are all plant based, with clearly explained instructions and techniques. I love this book and hope that every kitchen in America will find a place for it. 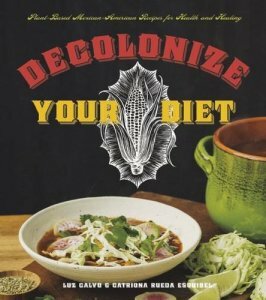 It’s a practical and delicious path toward reclaiming both cultural identity and food independence. 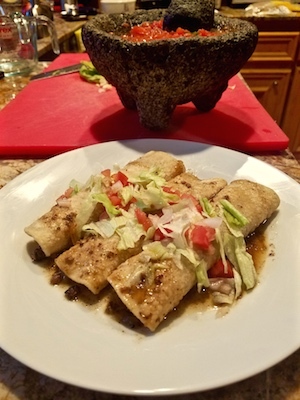 The recipes are derived from looking at pre-conquest MesoAmerican and Chicana grassroots knowledge. Imagine the taste of Red Pozole With Medicinal Mushrooms and Amaranth Pancakes With Mushrooms and Rajas. Exotic and inviting. There’s also the familiar Scrambled Egg And Nopalito Taco. The spirit of this cookbook is filled with commitment to both sustainability and fine taste. “Personal food choices are also political acts” say the authors. Holiday gift cookbook for these times? Yup! 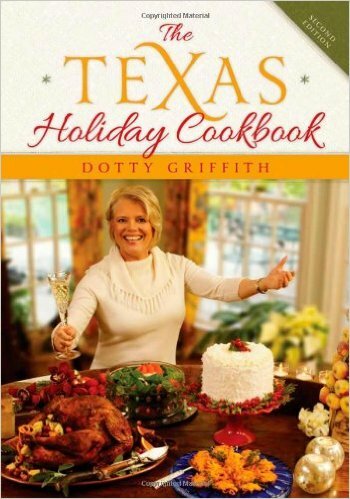 went into a second printing in 2013 and I think its popularity is due to how thoroughly the recipes represent Texas. As food editor and thereafter restaurant critic at The Dallas Morning News for over two decades, Griffith certainly understands and loves Texas food. With her recipes she presents the state’s rich cultural diversity. She explains that “Nothing illustrates this any better than serving tamales and turkey at Thanksgiving or preparing a Hanukkah menu of latkes and chili.” She writes with the clarity of a journalist and takes bold steps in her recipes: Black-eyed-pea relish; Jalapeño Jelly; Roast Venison Backstrap; and Margarita Balls — that’s right, no-bake petite cream cheese balls with a pretzel sticking out of each! Griffith updates the second printing by getting holiday recipes from trend-setting chefs and explaining, step-by-step, how to cook their personal recipes. Some of the chefs who share their recipes are Hoover Alexander, Roberto Del Grande, Monica Pope, Sylvia Casares and Johnny Hernandez. 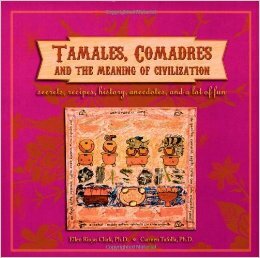 “Tamales, Comadres And The Meaning Of Civilization” by Ellen Riojas Clark, Ph.D. and Carmen Tafolla, Ph.D.
is a staple I recommended last year and I continue to recommend it as a holiday gift cookbook because it is a real cultural gem. The recipes for tamales come from San Antonio community activists, educators and entertainers, recipes ranging from “Tamales Dulces” (sweet tamales), to “Tamales that won’t upset the Rabbi or the Doctor.” Of course, tamales are culture, and Riojas Clark and Tafolla succeed in making this book a faithful expression of the San Antonio community. It’s “puro San Antonio” because it’s not just recipes, it’s also poetry, including this “Ode To The Tamal” by Lisa Anaya: . embrace the heat of the oven. I know your loved ones will enjoy these holiday gifts. Happy Holidays! Cranberry Rosemary Cocktail, A Native American Treat!